Search Engine Optimization for WordPress makes easy when you have pre-designed plugins. But if you are using Blogger or any other platform then sometime it’s not easy to understand how you can optimized a post in search engine to get high page rank. Many of bloggers write a post and leave as it is without customized for search engine. And some of those want to customize but unable to understand how they can do this. And the common question is What is SEO? I am writing this post for those who want0 to know how they can make their post SEO friendly. Please find the details under. There are a number of elements in SEO to get high page rank but I will discuss only three parts just because of newbies who want to learn from the beginning. And want to learn how they can optimize their single post for Search Engine. Your title should be SEO friendly. But question is that how you can write an SEO friendly title and what is meant by SEO friendly title. SEO friendly title means your title covers SEO requirements. There are some SEO friendly requirements for SEO title. Post title must contain one main keyword of your post. Post title should not more than 64 characters. Title should be related to post. 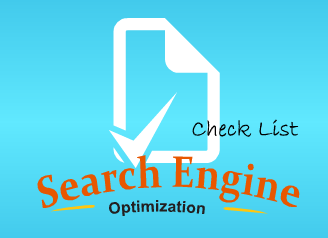 Post description is very important for search engine optimization of your blog post. To write down a SEO friendly description you must keep some points in mind. Your post description must be 120 characters minimum. Post description should start with a keyword. Do not use all keywords in description. Keywords are the most important part of search engine optimization. In this case I suggest you to select 5 possible keywords for your article. And use them randomly in your article. I hope you can remind these simple tips while writing your post. But it is not final words. We have a lot more to learn about SEO. But for this case I want to share 2 plugins for WordPress users to understand the Single Post Optimization for Search Engine more deeply. Asking a question can help us learn more and effectively. I welcome your questions. to say that these SEO write-ups very forced me to try and do it! Very easy and simple things to follow by a beginner blogger. Yes these are easy to understand for newbies. But, you said: Your post title must be 120 characters minimum. time i do post a lengthy one, will that be a hindrance? Nice that I found you at one of my friends’ place. Oh at that point I have mentioned 120 characters title length is not correct. Actually that was my typo error. The information is related to Meta Description. Meta description length should be minimum 120 characters and maximum of 160 characters. On the other hand when you writing your post then you should write a minimum of 300 words post. And there is no maximum limit of post.